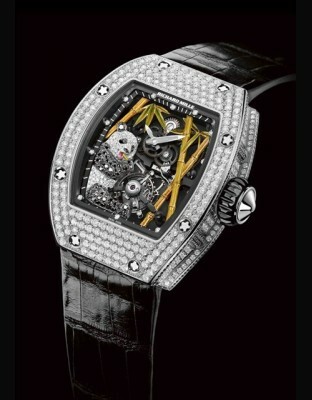 Price request for RM 26-01 Tourbillon PandaRef. 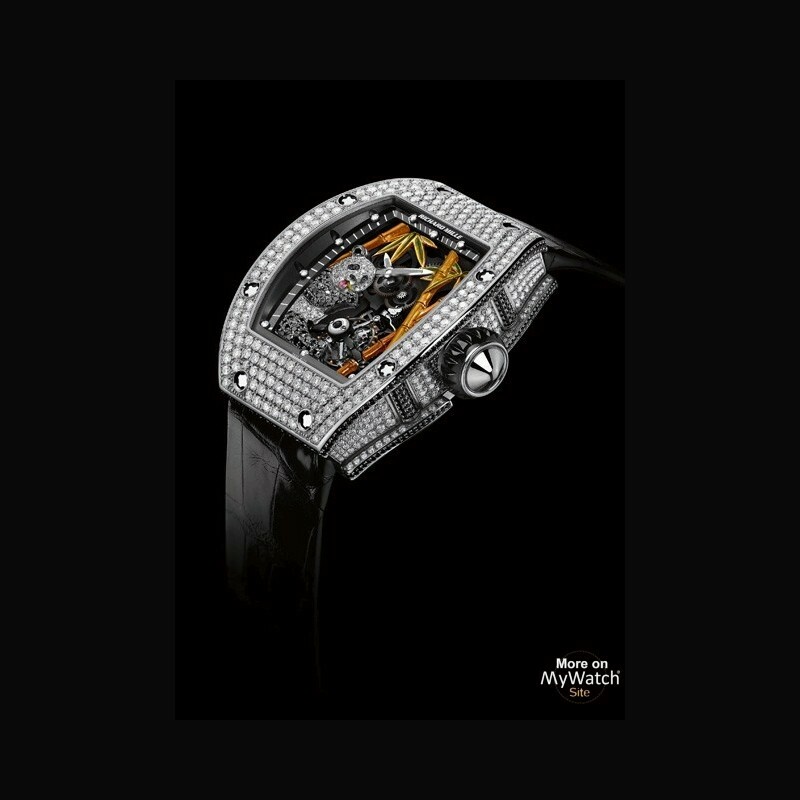 At the 2011 Salon International de la Haute Horlogerie, Richard Mille presented the Tourbillon RM 026, symbolising a union between fine watchmaking and fine jewellery. 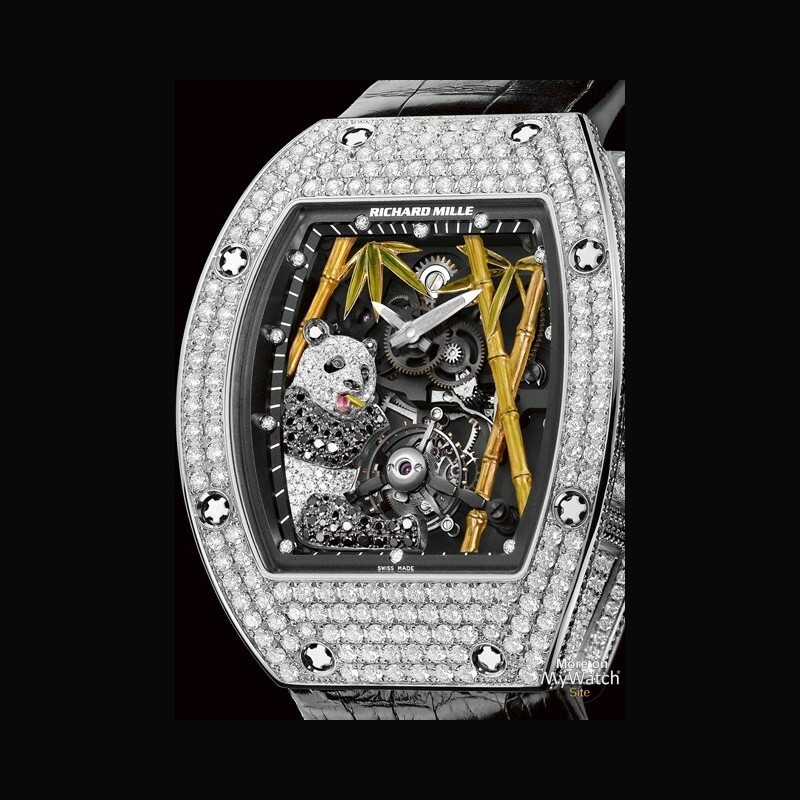 In 2013, the RM 26-01, featuring a giant panda, is the latest addition to the RM family of jewellery watches. The giant panda enjoys worldwide recognition and has incredible appeal, explained in part by its friendly appearance. The panda traditionally lived in the mountainous regions and plains of mid-west and south-west China. Now a protected species, they can be found in the mountainous regions of the provinces of Sichuan, Shaanxi and Gansu in central China. Embodying innocence and friendship, the giant panda is a charming creature cherished around the world as a symbol of peace. As an emblem for the Chinese nation, it is considered a “national treasure”. It is also the global ambassador for endangered species. 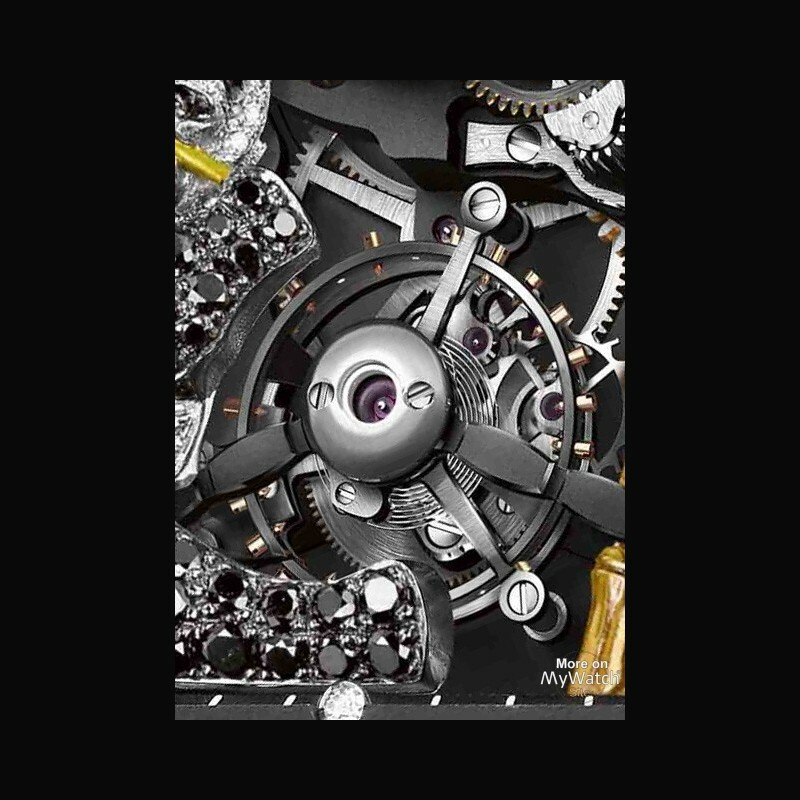 The new RM26-01 tourbillon caliber is equipped with a baseplate machined from black Onyx, a variety of chalcedony composed of silicon dioxide (SiO 2) from the cryptocrystalline quartz group. Onyx varieties featuring rectilinear black and white parallel stripes are part of the agate family, whereas entirely black stones are commonly known as black Onyx. This gem is said to absorb negative energy and bring great emotional stability to the wearer. 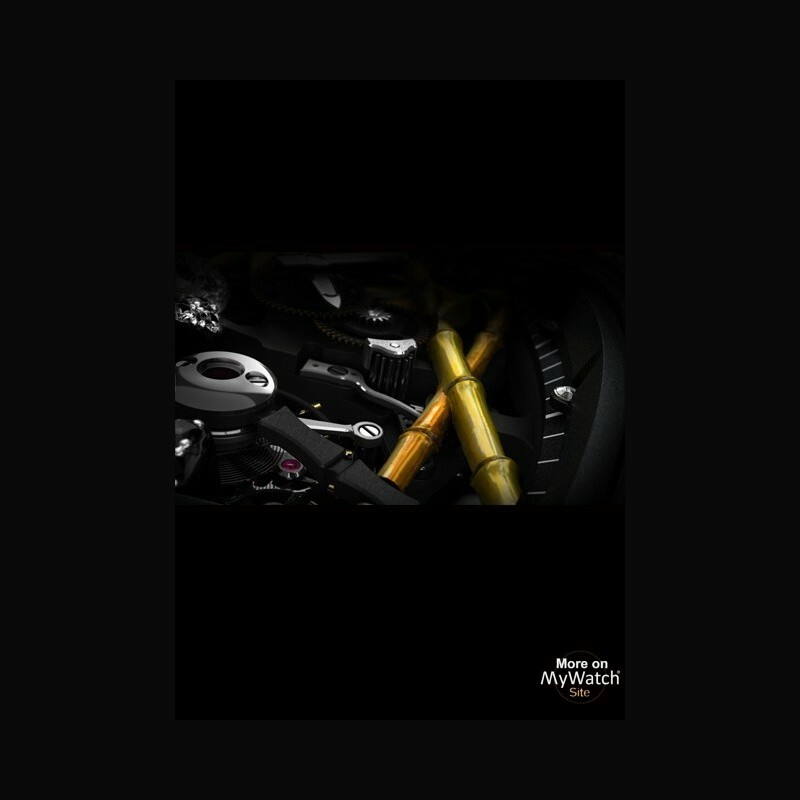 Black Onyx is thus considered to protect against negative thoughts and incarnate balance and inspiration. 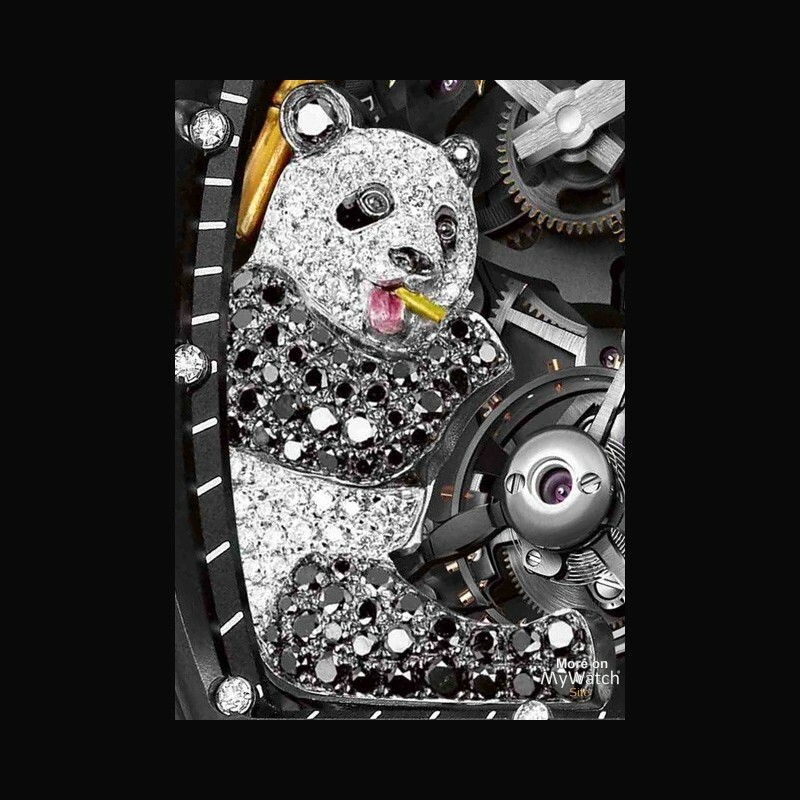 Sculpted in 18K white gold and integrated into the tourbillon, the panda is set entirely with diamonds and black sapphires. 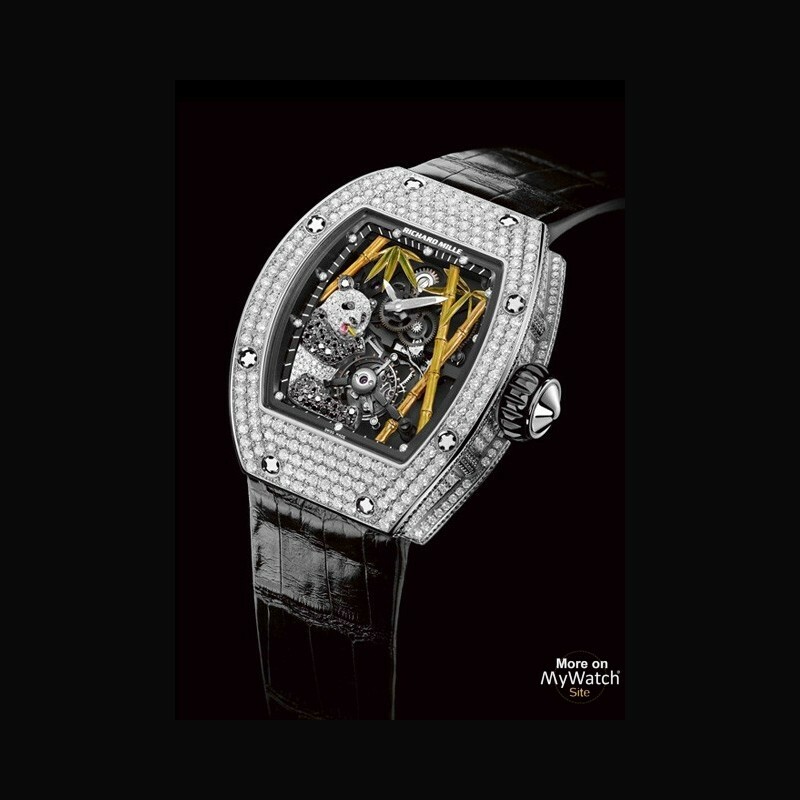 It sits in its natural habitat, a bamboo forest, featuring leaves and bark hand-sculpted from yellow gold and painted by hand. 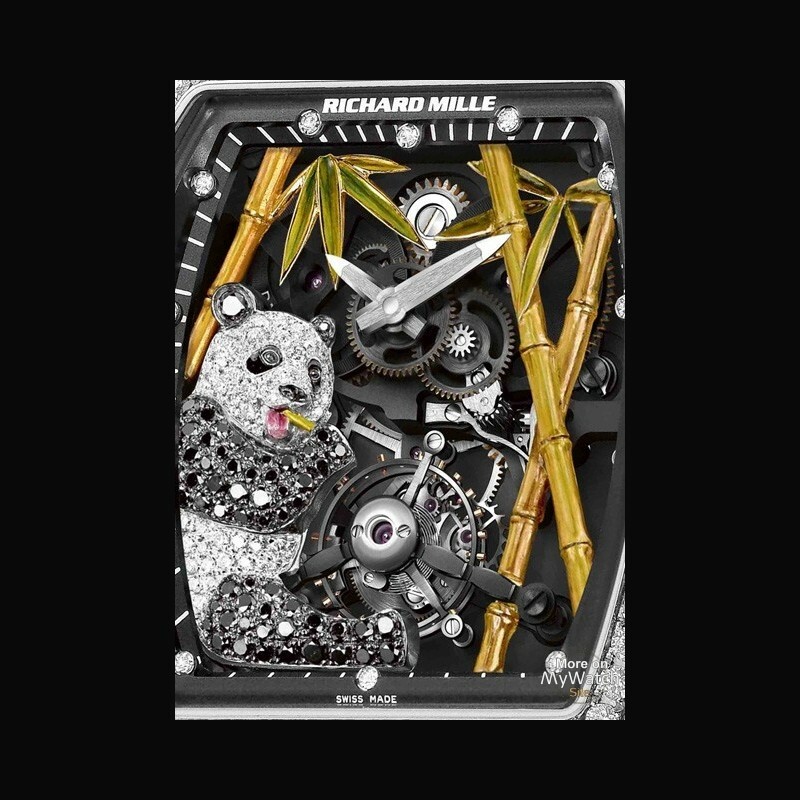 An artistic and imaginative feat, this symbiosis between fine watchmaking and fine jewellery will delight anyone who has been lucky enough to admire a panda in the wild. 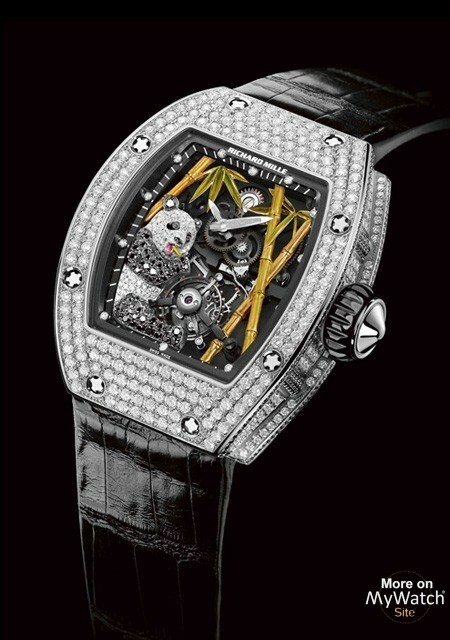 The RM 26-01 tourbillon is a limited edition of 30 timepieces in 18K red gold and white gold.